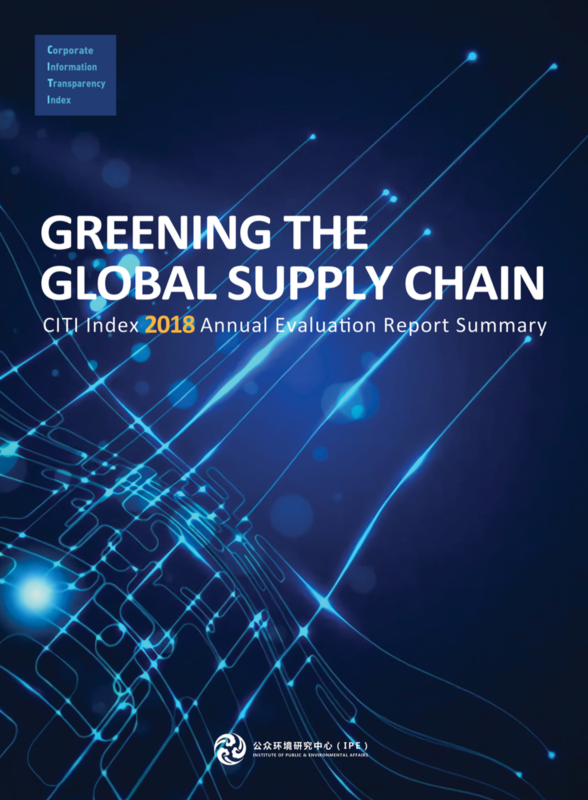 October 25, 2018 – The Institute of Public and Environmental Affairs (IPE) published the fifth annual Green Supply Chain CITI (Corporate Information Transparency Index) evaluation report in Beijing. The report shows that environmental big data generates innovative solutions to help leading multinational and local brands develop green procurement on a greater scale. Supplier Illegally Discharged Heavy Metals: Is the Starbucks you’re drinking truly environmental? In August 2018, environmental groups conducted an investigation on environmental pollution in Starbucks cup supply chains. They sent a letter to inquire as to whether Starbucks knew of the environmental violations of its straw cup and accompanying cup suppliers, and to advocate for rectification and public explanation. To date, Starbucks has yet to respond. A cup might seem the same, one that comes from clean production versus one whose production pollutes the environment, but their impact on health and the environment may be vastly different. We hope that Starbucks can make a meaningful change to provide consumers with truly green products. The investigative report issued by IPE and Lüse Jiangnan on May 21st highlighted that Xiaomi has long avoided addressing pollution along its supply chain for the past four year. The report also drew attention to one of its suppliers Ichia, which was found with suspected violation. 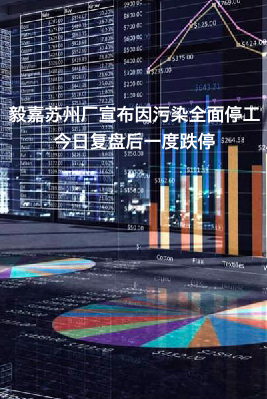 According to the Taiwanese media, Ichia Technologies, Inc.(Code: 2402) has been suspended for trading on June 29th following an announcement that the production of Ichia Suzhou has been put on halt. 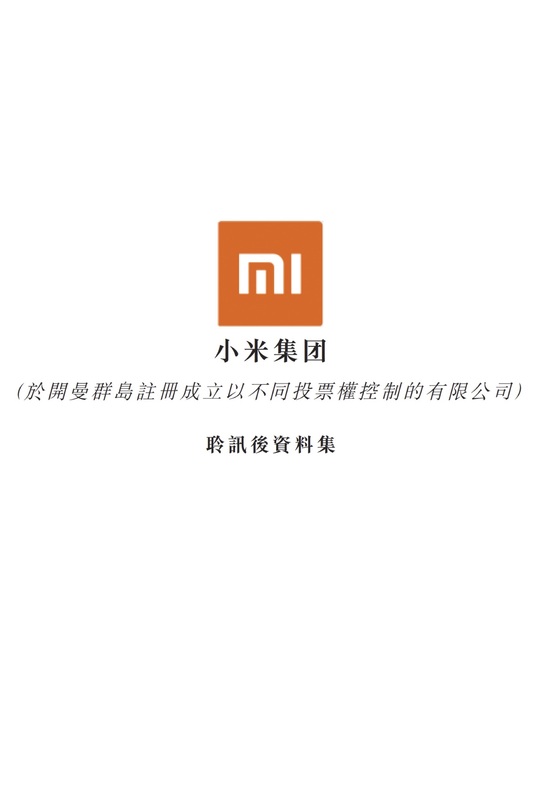 On June 14th 2018, Xiaomi Corporation Draft prospectus for Depository Receipt Public Offerings was published via China Securities Regulatory Commission website. 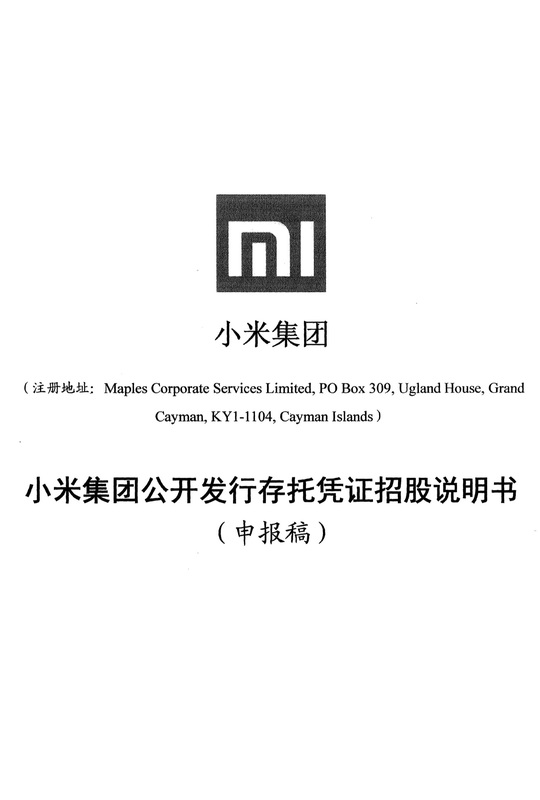 In the prospectus, Xiaomi admitted for the first time that its current suppliers have experienced historical environmental non-compliance incidents. In May 2018, environmental groups IPE and Lüse Jiangnan completed another round of investigations into pollution in Xiaomi’s supply chain, finding that pollution has become even more severe. Groups once again raised these issues to Xiaomi, but still only received silence and avoidance in response. Meanwhile, the Hong Kong Stock Exchange (HKEX) – where Xiaomi is seeking its IPO – has made clear requirements for ESG-related disclosure. 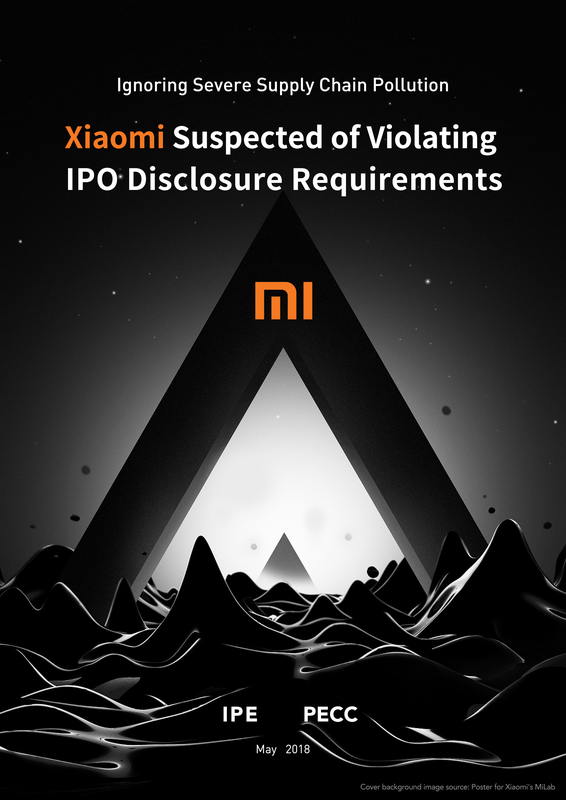 We believe that Xiaomi is in violation of HKEX's relevant requirements for information disclosure. 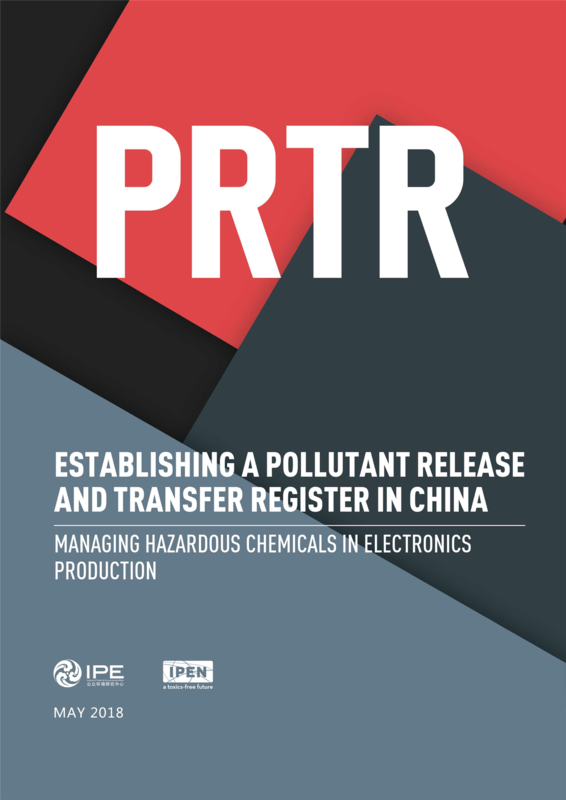 The Institute of Public & Environmental Affairs (IPE) and the International POPs Elimination Network (IPEN) jointly released in May 2018 the report, “PRTR: Establishing a Pollutant Release and Transfer Register in China”, which discusses using a PRTR disclosure system to strengthen the management of hazardous chemicals. The report recommends to learn from the best practices of international experience and mechanisms developed in China, and to leverage strong legislation as support for establishing China’s PRTR system. 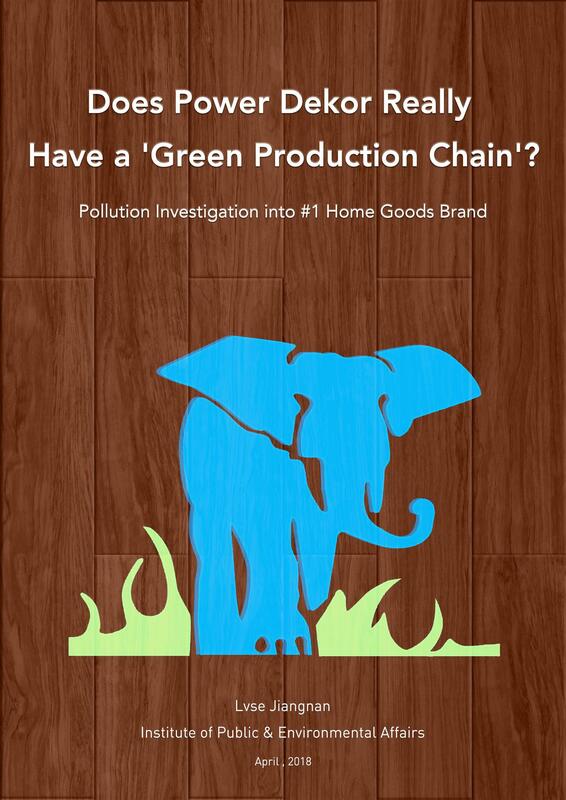 Pollution Investigation into #1 Home Goods Brand: Does Power Dekor Really Have a 'Green Production Chain'? In 2017, Lvse Jiangnan received complaints from a number of residents in Danyang, Jiangsu. The residents complained that enterprises in Daya Wood Industrial Park in Danyang Economic Development Zone gave off pollution during the production of Power Dekor floorboards, affecting the livelihoods of the neighboring residents. In 2018, environmental group Lvse Jiangnan and IPE conducted an investigation into the environmental pollution issues caused by the production of Power Dekor floorboards.